For photographers, bloggers and graphics folks good news. This is a great way to compress images up to 90% and reclaim some space on your disk. When you compress images you change the quality. Sad fact of life. You even use types of storage which keep quality yet use large file types to prevent loss. This costs you space and therefore, as you produce more, you have to buy more storage and maintain it. It’s available for Windows OS only, and has a user friendly interface. It comes in its regular form, and as a portable app. There are also no hidden costs in its use. The dev even provides its source code. He asks only a donation if you can, to help him improve the software. I can find no minuses with this software. The download is 15.2 Mb and you can choose one of two mirror sites (one Sourceforge). It requires 60.2 Mb disk space and is an x86 program. 1. Do your own research about the software. 3. Create a restore point in case anything goes wrong during the installation. 4. If you haven’t done a backup within the past week, do one. It’s painless and saves quite a bit of regret. 5. Always choose "Custom" or "Advanced" installation if offered. That will allow you to view whether the software comes in a wrapper with toolbars, home page and search engine switchers or other software/Adware you might not want. Next week: how to make pigs fly. Edit: To clarify, 90% compression and maintaining the same quality is not possible. Heck, the default for the program is even set to 80%. ext week: how to make pigs fly. A little late. 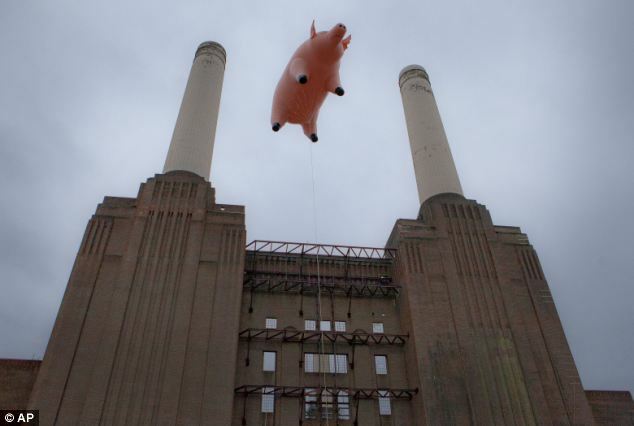 Pink Floyd did that 35 years ago. so, whats new compared to jpg compression? Do not navigate to the link in reply #6. It has an extreme negative WOT rating. but then you might have one less scalp on your tepee wall. When you think about it, the reason why images aren't straightforward to compress is because there's a lot of pixels that are not the same colour. Higher levels of compression essentially negate the difference between colours that are almost the same, allowing more pixels to be shrunk down to x pixels of colour y. So for example, one way you could take advantage of that is to create a difference layer which tells you how the crappy compressed image is different to the original image. You then store that diff as an image as well, hoping for some sort of overall saving without losing any information. Then when you uncompress the image, the diff is used to reverse the loss of quality.